I am going to post an essay I wrote after a along time, but it took me around 55 minutes. It would be a great help if all of you look into it and give feedback. Any response would be much appreciated. Air travel causes environmental pollution, so many people believe that there should be an increase in the price of air tickets in order to reduce air traffic. The salad days of third millennium has seen a prolific increase in people who travel by air. 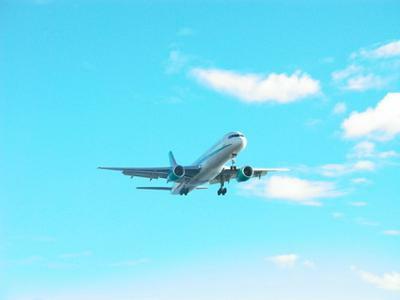 Consequently, there has been a view that air travel increases environmental pollution. Although there are few arguments in favor of hiking the price of airline tickets in order to reduce air traffic, I am of the opinion that there are much better ways to tackle this problem. To begin, one of the main arguments of the proponents of increase in airplane tickets is that this may hinder people from flying very often. However, I believe this argument does not stand up to scrutiny as there are clear evidences to suggest that those consider air travel as a favorite means of transportation belong to the upper class of the society and a small hike in air tickets does not make any difference in their choice. At the same time, this might have a huge impact on students and job seekers who resort to air travel out of necessity and which is not fair. On the other hand, there are many possible ways to reduce the number of air travelers. The most alternative is that the government could improve public transportation for longer distance to encourage frequent air travelers to give up flying. For instance, in Japan , the preferred choice of transportation of people is bullet trains that travel at the speed 350 to 400 kilo meters per hour and the Japanese barely travel by air. In addition to that, these trains run cleaner energy such as nuclear, therefore do not pollute our air. To conclude, while some people strongly argue that an increase in the price of flight tickets could result in decreased air traffic, I am unconvinced of the effect of such strategy as it seems to me that there are much better ways to do so. it is an academic essay with a good deal of vocabulary, but more ideas could be produced in the body of the essay. Flow of essay looks good. But points and solution for agree is not enough. Also I am not sure this has impact on score. Some people say that governments should increase tax on air tickets to control air pollution. Aviation sector has witnessed a gradual increase in domestic and international flights and the level of air pollution is also rising. To cope with this, some people opine that travel by air should be made expensive by charging more taxes. However, I believe that this is not a complete answer and it will become unnecessary burden on travelers and tourism industry. Although this practice will boost government revenue but it will have some severe repercussions on common man who is already facing problem of inflation. Definitely, if prices hiked, people would look for alternatives and this would only worsen the situation. For example, a businessman travelling in economy class would get frustrated at sight of exorbitant travelling expenses in Income and Expenditure statement. Resultantly, he would switch to terrestrial mode of transportation like train, car etcetera which are also the leading causes of air contamination. Thus, it is not an appropriate solution. Further reinforcing my views, if passengers are charged more, it can be detrimental to tourism industry. It is well established fact that Tourism is the major contributor to GDP of any nation, and international visitors, in particular are major sharer. Increasing air fare may results in significant drop in number of commuters which can be a menace to economy of a country, particularly the growing economies like India and China where several other industries are dependent on tourism. To conclude, excessive taxes are not ultimate solution to air pollution.Authorities should look for other measures. Locating airports at outskirts can act as remedy, nonetheless a panacea is yet to be found. If you like this Airline Travel Essay let the writer know by posting your comments below. If you can think of ways to improve the essay, then post below. Is this essay worthy of 7 bands? Is this easy worthy of 7 bands? Or improvement required? It might struggle to get a 7 for grammar. For a 7, the majority of sentences must be error free. That is not the case with this essay. What improvement is required in grammar? Is the essay is okay on parameters of Cohesion, coherence, task achievement and lexical resources? I can't point out all the grammar errors. You'd need to get a teacher to do that as it takes time. Yes, the cohesion, coherence, task achievement and lexical resource are generally ok (though I wouldn't agree that using the train would increase pollution...).